Dr. Linda Di Fiore, Mezzo-Soprano and Regents Professor Emeritus of Voice at the University of North Texas, currently serves as Area Head of Voice at the University of California-Santa Barbara. She has performed professionally for over forty years as a soloist in opera, oratorio, recital, and musical theatre. 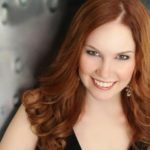 Her career has included guest performances with such groups as the St. Paul Chamber Orchestra, Minnesota Orchestra, Opera Santa Barbara, Minnesota Opera, Bach Aria Festival in New York City, Orlando Opera, Pensacola Oratorio Society, Wichita Opera, Music Theatre of Wichita, Winter Haven Messiah Society, North Florida Arts Opera Series, Longview Opera, Joffrey Ballet, Dallas-Ft. Worth Ballet Theatre, Texas Choral Artists, Orchestra of New Spain, Arlington Choral Society, Richardson Symphony, San Angelo Symphony, WMCA Choral Society of Taipei, Amalfi Coast Music Festival, and Da Ponte String Quartet (resident quartet of Maine). Operatic roles include Carmen, Maddalena, Orlovsky, Old Prioress, Principessa, Suzuki, and Cherubino. An active song recitalist, Dr. Di Fiore has performed internationally in Innsbruck, Austria; Rome, Venice, Cremona, Mantua, Sabbioneta, Castelfranco-Veneto, Vietri sul Mare, Italy; Toronto, Canada; and San Juan, Puerto Rico. In the U.S. she has performed in Santa Barbara, St. Petersburg, Dallas, Atlanta, Minneapolis, Columbus (GA), Eugene, and Washington, D.C. In addition, she has toured England and Scotland as an oratorio soloist and has lectured for the Smithsonian Institution in Vienna and Prague for their music festival tours. She has presented master classes for Ft. Worth Opera, Seagle Fine Arts Colony, Lyric Opera of Kansas City, Orlando Opera, Opera in the Ozarks, Marcello Conservatory in Venice, Conservatory of Music-San Juan, National Taipei Normal University, Steffani Conservatory in Castelfranco-Veneto, Miami in Salzburg, Voice Centre of Toronto, U. of British Columbia, Wilfred Laurier U., Eastman School of Music, Columbia U. (NYSTA), Carnegie-Mellon, Miami New World School of the Arts, U. of Oregon, U. of Kansas, Vanderbilt, U. of No. Arizona, Montclair State U. of Tennessee-Knoxville, Luther College, U. of So. Dakota, Colorado State, U. of Florida, Penn State, U. of Houston, Columbus State, Georgia Southern, Oklahoma State, Oklahoma City U., Texas A & M-Kingsville, Texas Christian U., Murray State, Texas Woman’s U., Valdosta State, U. of Texas-San Antonio, 5-state Cal-Western Regional NATS, NATS-LA, and the national Classical Singer Conventions in LA, Chicago, and Boston. Since 2004, Dr. Di Fiore has held the distinction of Master Teacher in the National Association of Teachers of Singing, a lifelong designation. She has taught in summer programs in Rome, Venice, Casalmaggiore, Innsbruck, Graz (AIMS), and the Amalfi Coast Festival. In fall of 2005, Dr. Di Fiore served as a Visiting Professor of Voice at the distinguished Eastman School of Music. Dr. Di Fiore’s teaching legacy includes current and former students who have been accepted into the most prestigious summer programs in the U.S. (Wolf Trap, Merola, Santa Fe, Glimmerglass, Ravinnia Festival, Music Academy of the West, Chautauqua, Central City, Aspen, Opera North, Ashlawn-Highland, St. Louis Opera, Des Moines Metro, Brevard, Opera in the Ozarks, Seagle Fine Arts Colony, OperaWorks) as well as Young Artist Programs (Metropolitan Opera, San Francisco Opera, Houston Grand Opera, Washington National Opera, New York City Opera, Chicago Lyric Opera, Seattle Opera, Pittsburgh Opera, Florida Grand Opera, Kansas City Lyric Opera, Sarasota Opera, Pensacola Opera, Knoxville Opera, Ft. Worth Opera, El Paso Opera, Nashville Opera, Kentucky Opera, Utah Opera, Dallas Opera, Wichita Opera) and have sung roles in many of the major opera houses in the US and Europe. National competitions in which her students have won or placed include Metropolitan Opera Council Auditions, Dallas Opera Guild Career Grant Competition, Houston Grand Opera McCullum Competition, Ft. Worth Opera McCammon Competition, El Paso Opera Guild Competition, Palm Beach Opera Competition, Birmingham Opera, Bel Canto Competition, National Opera Association, “America’s Got Talent,” The American Prize Competition, MTNA and NATSAA. She is in demand as an adjudicator for national and regional level competitions, including the Ziering-Conlon Song Competition, Ft. Worth Opera McCammon Competition, Opera Colorado, National Opera Association, AIMS Meistersinger Competition, National Association of Teachers of Singing Artist Award (NATSAA), Classical Singer Competition, Metropolitan Opera Council District Auditions, and numerous concerto competitions at prominent universities throughout the US.